◦Wearing the colors of the day, black and deep purple. Here’s your perfect excuse to be dramatic and witchy. Empower these dramatic pieces of your wardrobe for protection and strength. ◦Adding a touch of garden witchery to your Saturday spells by working with the pansy (in black or purple of course), the morning glory flowering vine, or the cypress tree. ◦Carrying an obsidian, hematite, or jet tumbled stone in your pocket to reinforce your personal protection and to ward off bad vibes and sour feelings. You can also add these crystals to a candle spell on a Saturday night to really increase the punch of your spellcasting. ◦Cleaning your house and cleansing it while you are at it. Tap into those obstacle-removing vibes and the positive, concluding energies. ◦Closing up the final day of the bewitching week with a bang by calling on Hecate for protection and guidance. Posted on February 13, 2016 by ladyoftheabyssPosted in Articles, Daily PostsTagged Banishing, Black, Black Candle, boost spirituality, Deep purple, enchantments, magical wisdom, Protection, Saturday, Saturn. Dedicated to the shadowy Anglo-Saxon god Saetere, the equivalent to the Roman Saturn, and the Greek Cronos. It is also associated with the Norns, the Norse equivalent of the Three Fates, and the Trickster-god, Loki. Magical aspects: longevity, exorcism, endings, apprehension, austerity, caution, and limitations. Not surprisingly, Saturday is ruled by Saturn. The logic and almost sly nature of Saturn is most prominent on Saturday, which is why it is the perfect day for habit breaking and scientific experimentation. If you have someone that just will not let go of a relationship that you thought was long since dead, give a restriction spell a go next Saturday. Human manipulation is also a very powerful aspect of Saturn’s power over Saturday. 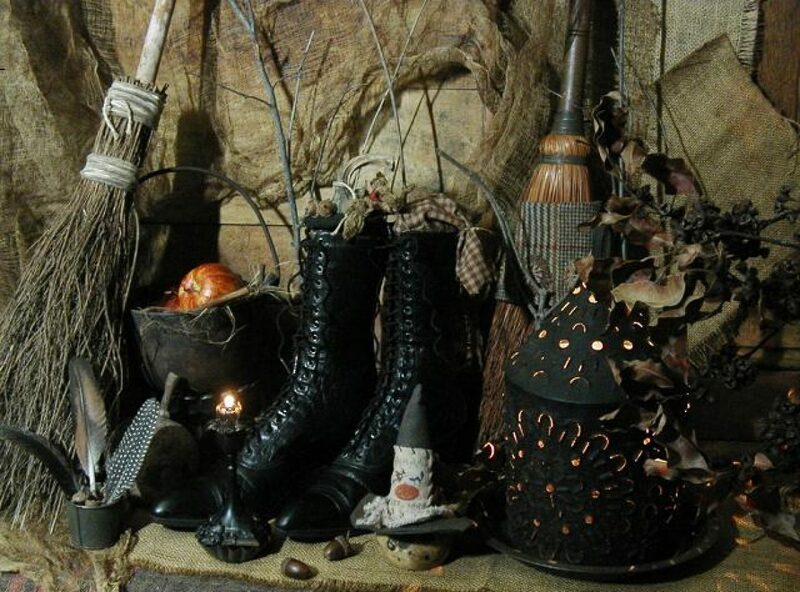 This is the proper day of the week to perform spells and rituals involving spirit, communication, meditation, psychic attack or defence, locating lost items or missing persons, self-discipline, life, building, doctrine, protection, freedom, elderly, destroying diseases and pests, crystallization, hidden or obscure matters, limitations, and boundaries. Posted on February 13, 2016 by ladyoftheabyssPosted in Articles, Daily PostsTagged Amethyst, Black, Black Poppy Seed and Myrrh, capricorn and aquarius, Cassel, Coltsfoot, Cypress, grey and indigo, Magickal Intentions, Mimosa, Myrrh, Nightshade and Fir Stones: Jet, Patchouli, Saturn, Smokey Quartz, WItches Correspondences. Saturn is perhaps best known today for his annual winter festival of debauchery, called the Saturnalia, which falls in December. However, for the ancient Romans, he was an important agricultural deity, holding various associations both with the planting season and with time itself. Similar to the Greek god Cronus, Saturn is credited with giving the gift of agriculture to the Romans. A temple was erected to Saturn at the base of the Capitoline hill in Rome, where it housed the state treasury. Not much is known about Saturn in his Roman persona, because there is so much overlap between him and the Greek Cronus. While it is possible the some variant of Saturn was worshiped as early as the pre-Roman Etruscans, it’s difficult for scholars to tell what attributes were originally Roman, and which were Greek. In general, one thing that academics do agree on is that Saturn’s festival, the Saturnalia, was held each year during the month of December. By contrast, festivals honoring Cronus took place in the summer. Businesses and court proceedings closed up for the entire Saturnalia celebration, and food and drink were everywhere to be had. Elaborate feasts and banquets were held, and it wasn’t unusual to exchange small gifts at these parties. A typical Saturnalia gift might be something like a writing tablet or tool, cups and spoons, clothing items, or food. Citizens decked their halls with boughs of greenery, and even hung small tin ornaments on bushes and trees. Bands of naked revelers often roamed the streets, singing and carousing – a sort of naughty precursor to today’s Christmas caroling tradition. A great statue of Saturn stood in the temple, and interestingly enough, it was filled with oil – likely olive oil, given his status as an agricultural god. In addition, the statue’s feet were wrapped in wool, and the strips were only unbound during the Saturnalia. In addition to merrymaking, street celebrations, and social role reversals, there were sacrifices made to Saturn for a bountiful harvest during the coming year. Posted on February 13, 2016 by ladyoftheabyssPosted in Articles, Daily Posts, Deities, The GodsTagged Agricultural God, CRONUS, fanquets, Greek, merrymaking, Month of December, pre-Roman Etruscans, Roman, sacrifices, Saturn, Saturnalia, scholars, small gifts, Statue of Saturn, street celebration. Posted on February 13, 2016 by ladyoftheabyssPosted in Articles, Daily PostsTagged Banishing negativity, Binding negativity, Cassiel, dealing with lawyers, doubly blessed, dragon energy, Machatan, Money Matters, Orifiel, Saturday, Saturday’s child, Saturn, Take care of debts, Uriel. Posted on February 13, 2016 by ladyoftheabyssPosted in Articles, Daily PostsTagged Binding, Black, candle colors, Crossing, Cut, Grey, Justice, magickal applications, obstacles, Reversal, Saturday's Conjuring, Saturn, Uncrossing, White. Posted on January 16, 2016 by ladyoftheabyssPosted in Articles, Daily PostsTagged Banishing, Black, Black Candle, boost spirituality, Deep purple, enchantments, magical wisdom, Protection, Saturday, Saturn. Posted on January 16, 2016 by ladyoftheabyssPosted in Articles, Daily PostsTagged Amethyst, Black, Black Poppy Seed and Myrrh, capricorn and aquarius, Cassel, Coltsfoot, Cypress, grey and indigo, Magickal Intentions, Mimosa, Myrrh, Nightshade and Fir Stones: Jet, Patchouli, Saturn, Smokey Quartz, WItches Correspondences. Posted on January 16, 2016 by ladyoftheabyssPosted in Articles, Daily PostsTagged Apprentices’s Day, Aries, Cancer, endings, Exorcism, Full moon, homes, Indigo, Longevity, New moon, pinpoint needs, Rapport between people, Sage, Saturn, Second Quarter, Third Quarter, waning moon, waxing moon, Witches Almanac. Posted on January 16, 2016 by ladyoftheabyssPosted in Articles, Daily PostsTagged Banishing negativity, Binding negativity, Cassiel, dealing with lawyers, doubly blessed, dragon energy, Machatan, Money Matters, Orifiel, Saturday, Saturday’s child, Saturn, Take care of debts, Uriel.